Detroit, Michigan - The Environmental Protection Agency removes lead-contaminated soil from Collins Park. The contamination was discovered by a crew installing new playground equipment. 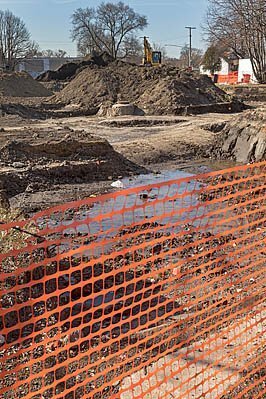 Image Description: Detroit, Michigan - The Environmental Protection Agency removes lead-contaminated soil from Collins Park. The contamination was discovered by a crew installing new playground equipment. If you do not find what you are looking for, please ask for help. All images on this site are copyrighted and may not be used in any way without permission.